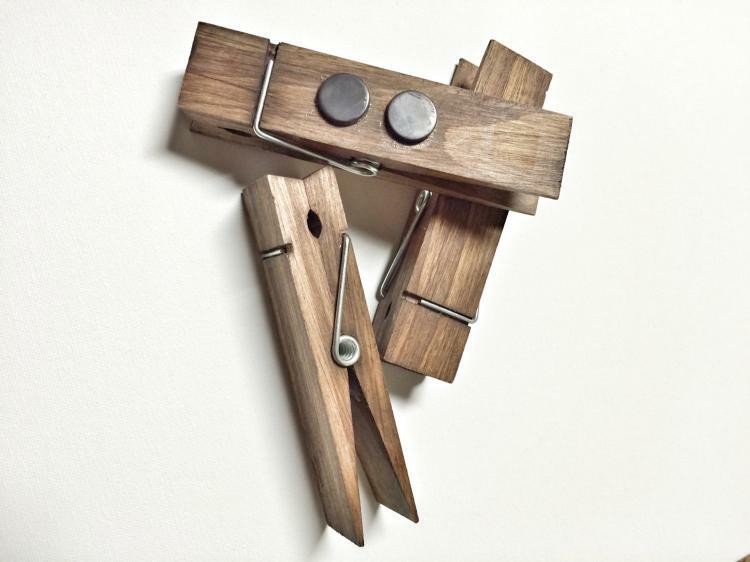 Clothespins, for those who don't know, are little pieces of wood with a spring in-between them that presses them together on one end. 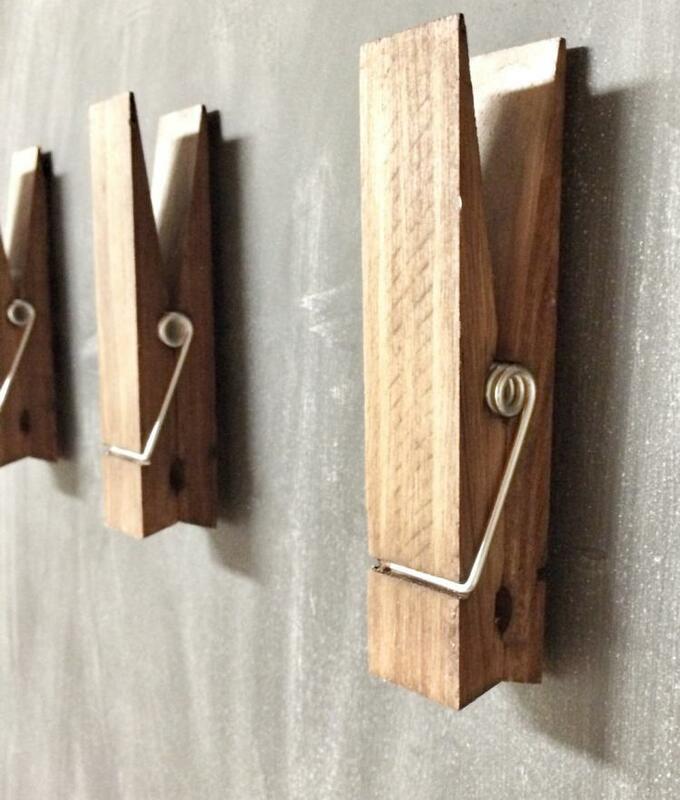 Back in the 1800's these clothespins were used to dry your clothes on a clothes line in your backyard before the dryer was invented. 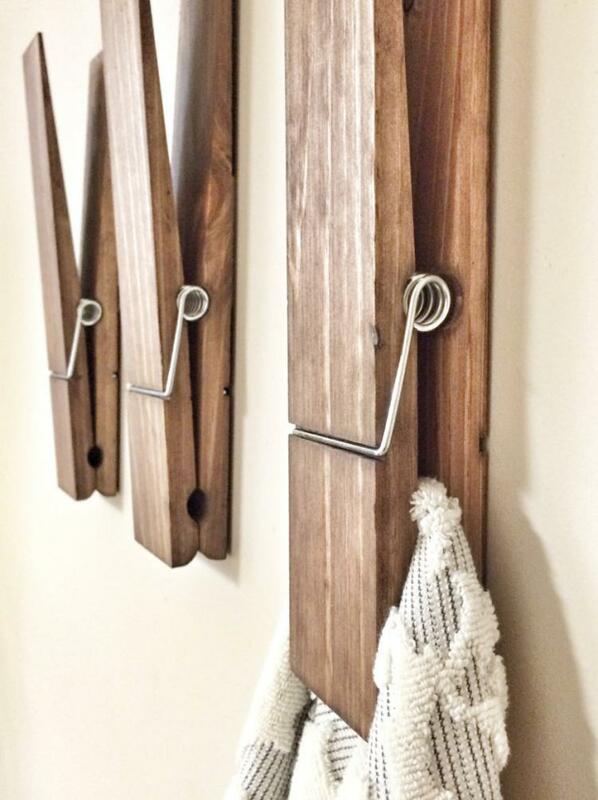 Your mother would hang your whitey tighties in your backyard, on the aforementioned clothesline, which coincidentally was located right next to a bike path for everyone to see. 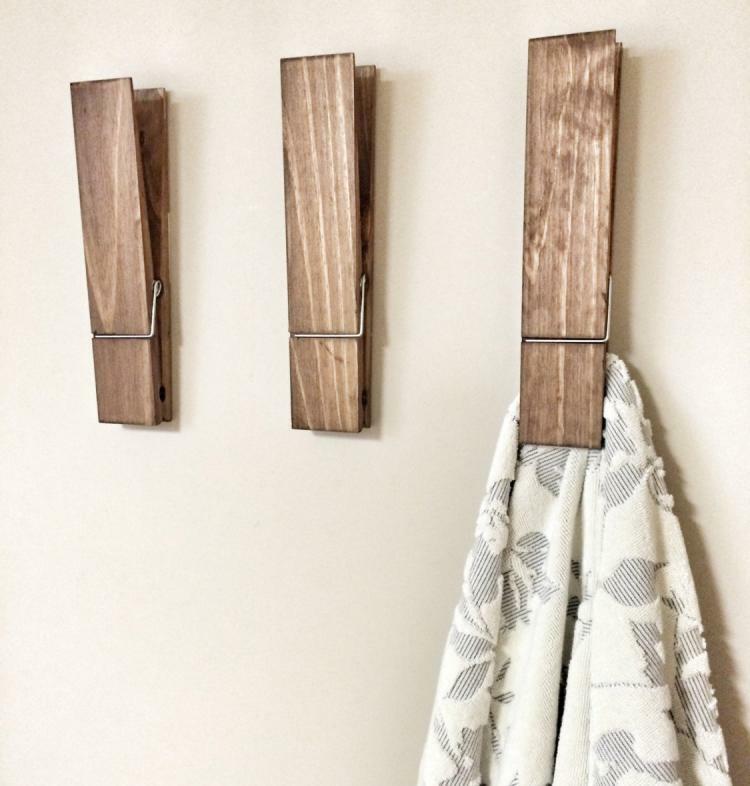 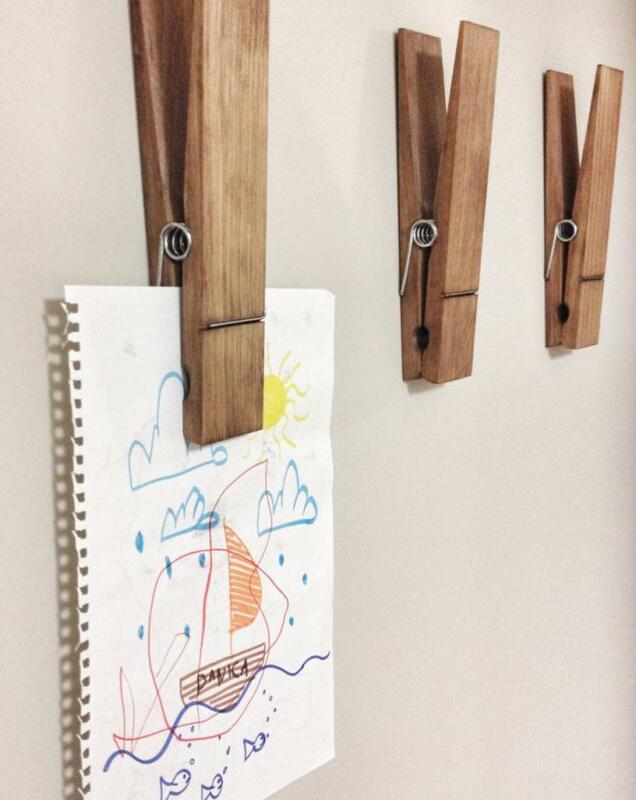 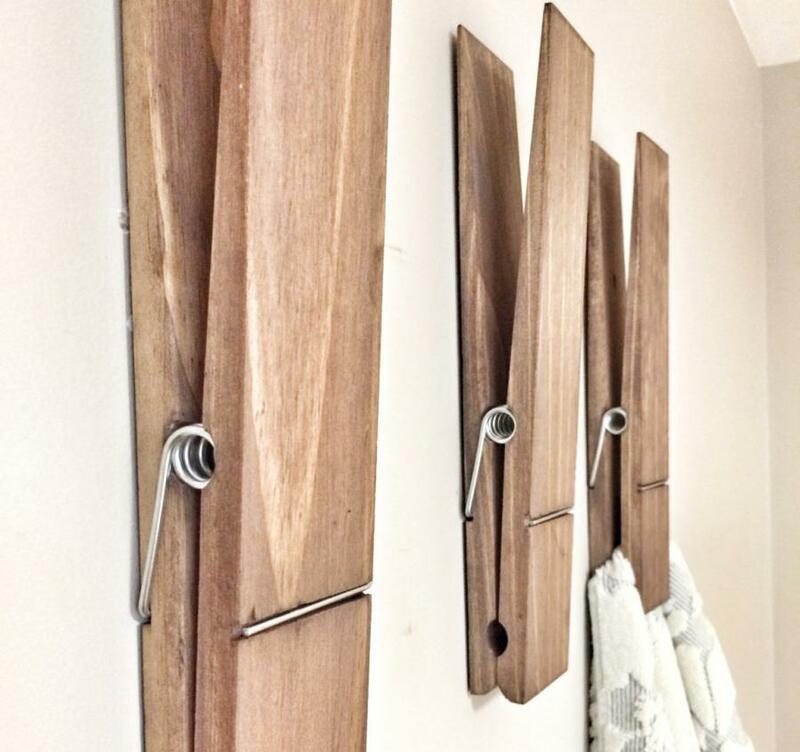 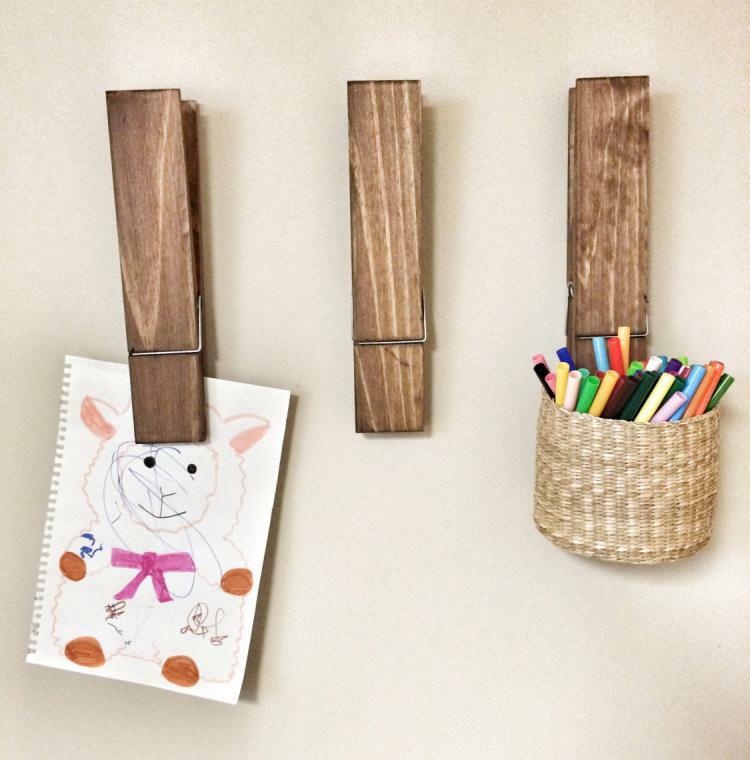 These giant clothespins are were made to hang on your wall to hold towels to dry in your bathroom or laundry room, or elsewhere in your home to hold child's drawings, pictures, notes, or pieces of decor. 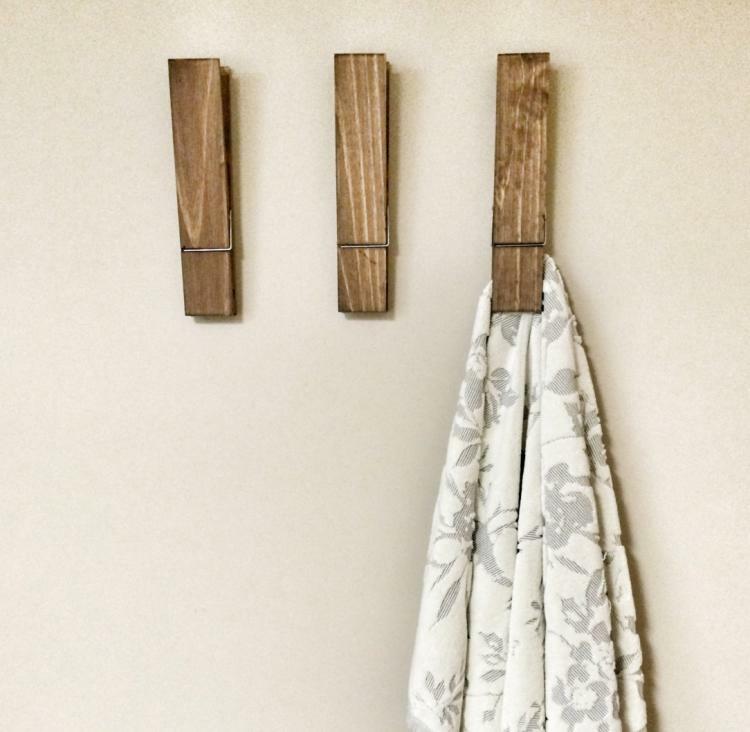 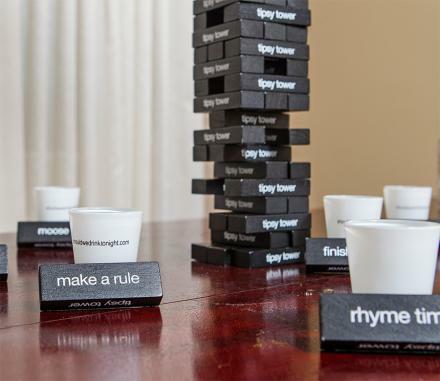 The giant clothes pins are sure to add a bit of a rustic touch to your home and certainly catch the eye of any guests. 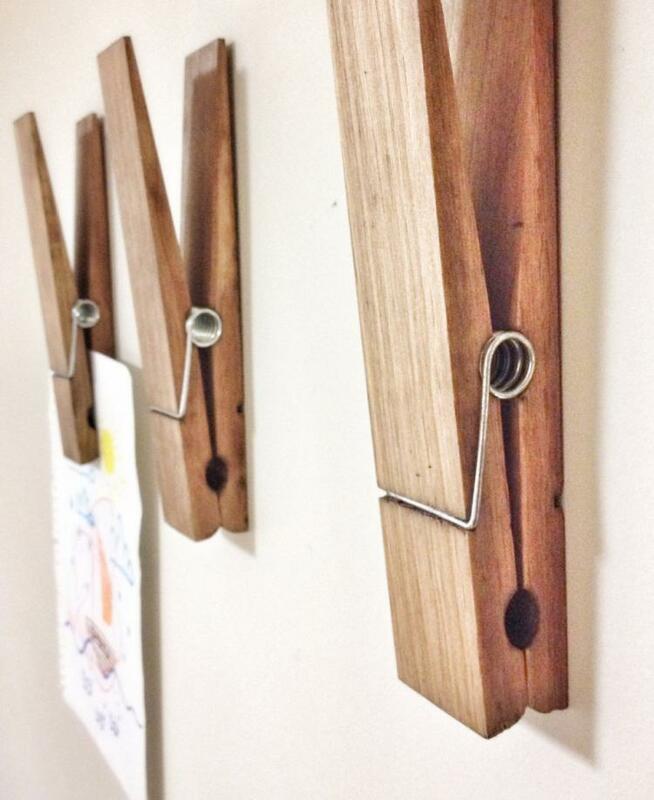 Designed and created by Etsy store Cherry Tree Gallery, the giant clothespins comes in a few different sizes, woods, styles, and finishes to choose from. 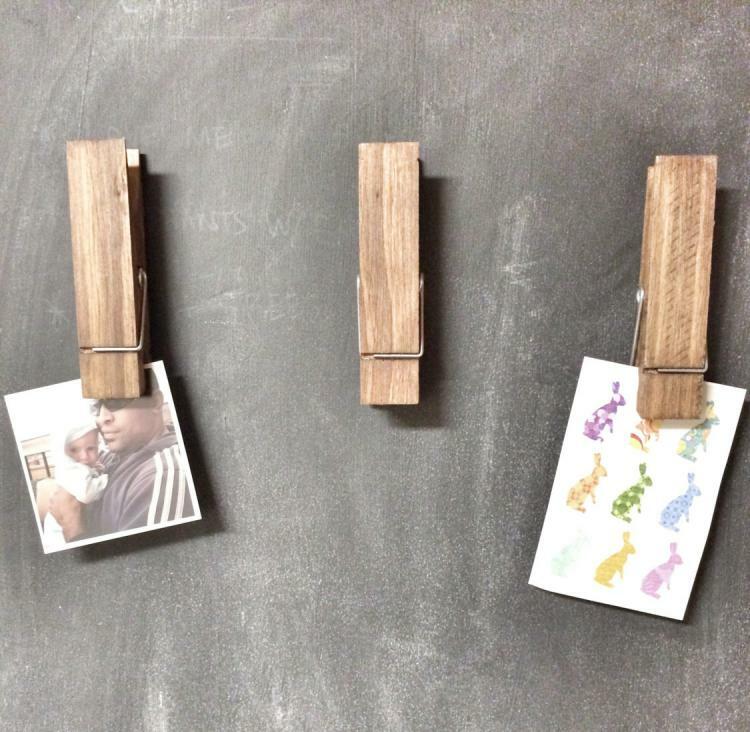 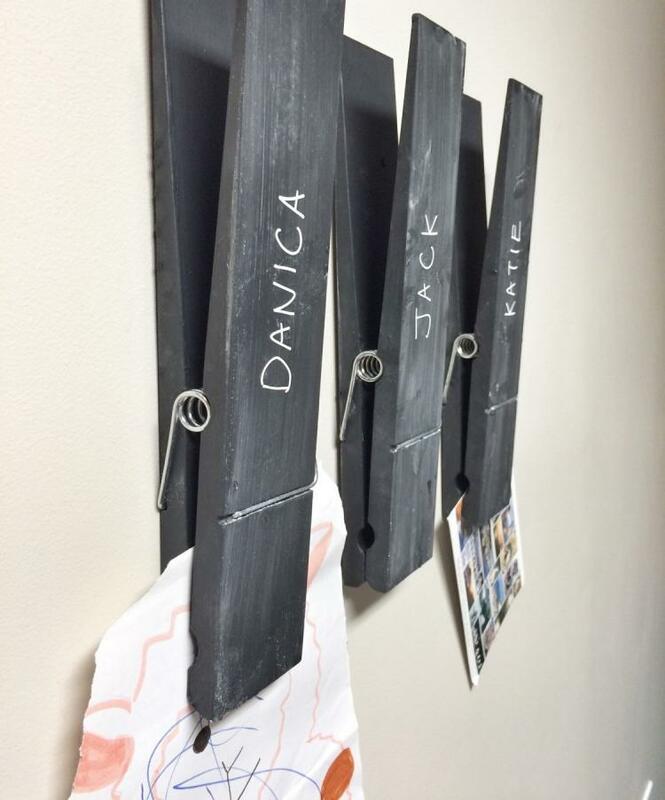 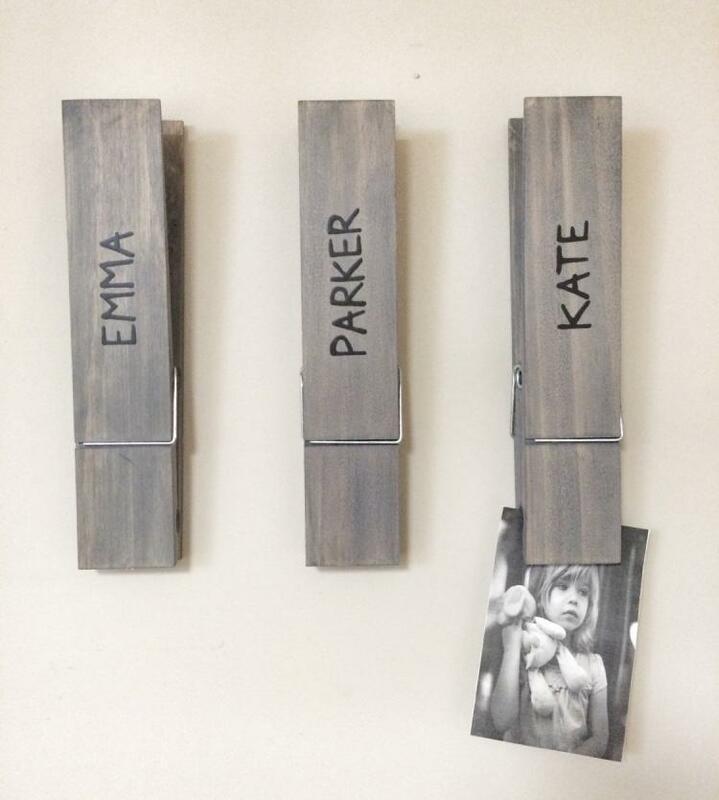 The giant clothespins come in sizes ranging from 6 inches long all the way up to 12 inches long, and come in woods and finishes including dark walnut, grey wash finish, white wash finish, or even a chalkboard finish that you can customize and draw on using chalk. 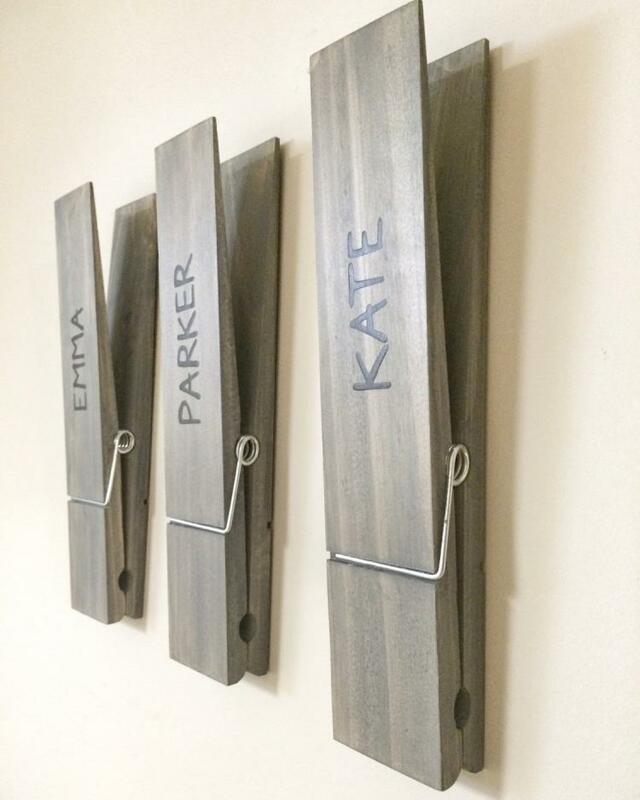 There's also options to customize the clothespin with a letter or a child's name, all of which you can find here. 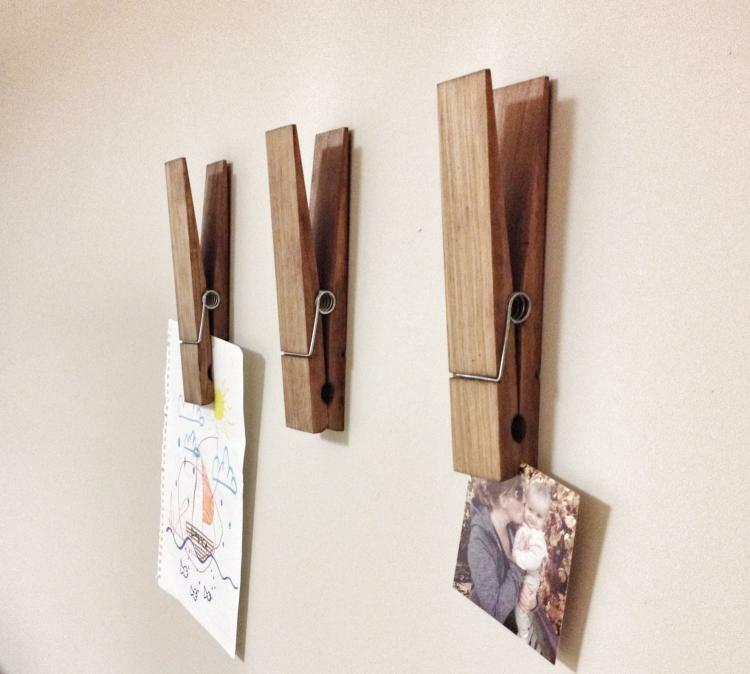 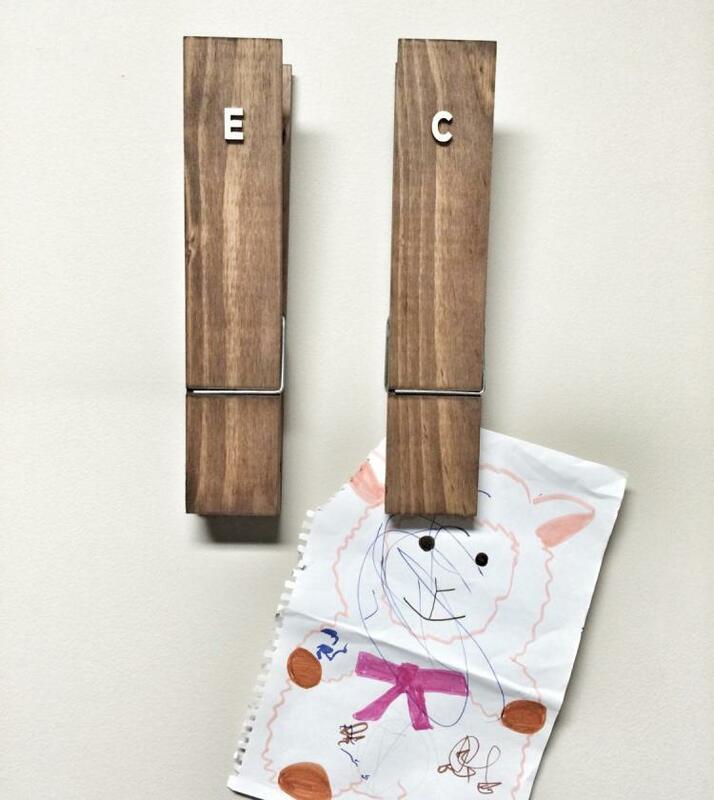 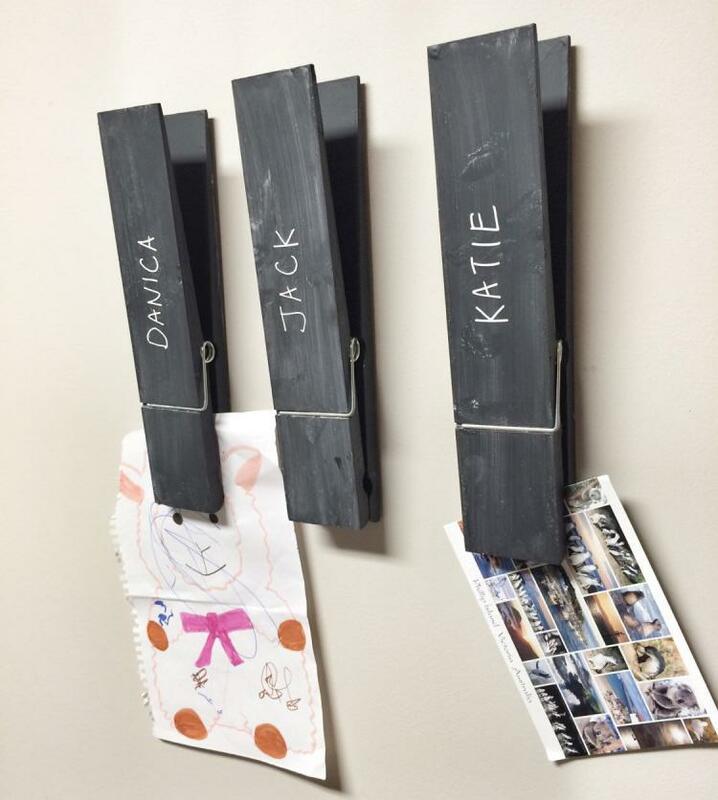 The giant clothespins can be hung on a wall or set upright on a shelf, mantle or even your desk to hold a photo. 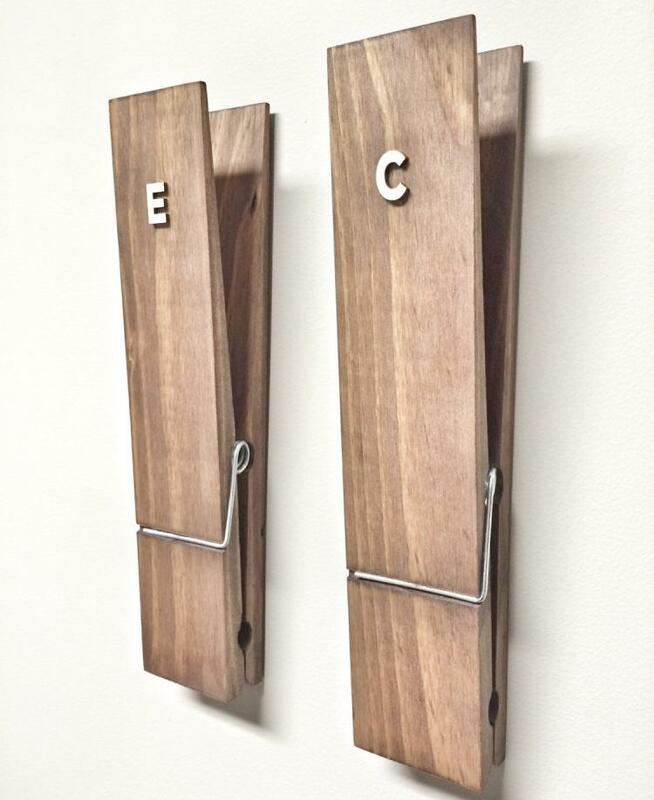 These particular clothespins measures 12 inches long x 2.5 inches wide, come with a brass plated tooth hanger to easily hang it on your wall, are sold individually, are made using walnut wood, and are stained with a dark finish.